Do you guys remember what you wanted to be when you grew up? "A roller coaster engineer and divorcee who lived in New York City," said Tracy. When I asked why, she simply said 'because roller coasters are cool'. And that her 6-year-old-self didn't believe that love could last forever. Hm. "The First Female President," said Meredith. "Something in math," said Molly, who then explained that she once kicked a hole in the wall because she was frustrated with her calculus homework. If I'm being honest, I don't entirely 100% remember myself, lol. I do know that I went through different phases — nothing really logical or significant, they were mostly determined by what I happened to think was superfreakingawesome at the time. Like that time I wanted to be a stewardess (because planes are cool! ), and another in which I wanted to be a dentist (because I was too young to realize that going to the dentist actually terrifies me). There is one childhood dream of mine that does stick out though. There were a few months in my life in which I wanted to be an archeologist. I blame Jurassic Park. Although the movie frightened the daylights out of me (seriously, that scene where the T-Rex gets loose and wreaks havoc on the cars was pretty scary as a 6-year-old), I was still enamored by all the dinosaurs. That year, instead of requesting the usual Barbies and Polly Pockets for birthday and Christmas presents, I wanted dinosaur books, figurines, and eggs. Of course, you guys know the rest of the story. I did NOT become an archeologist. 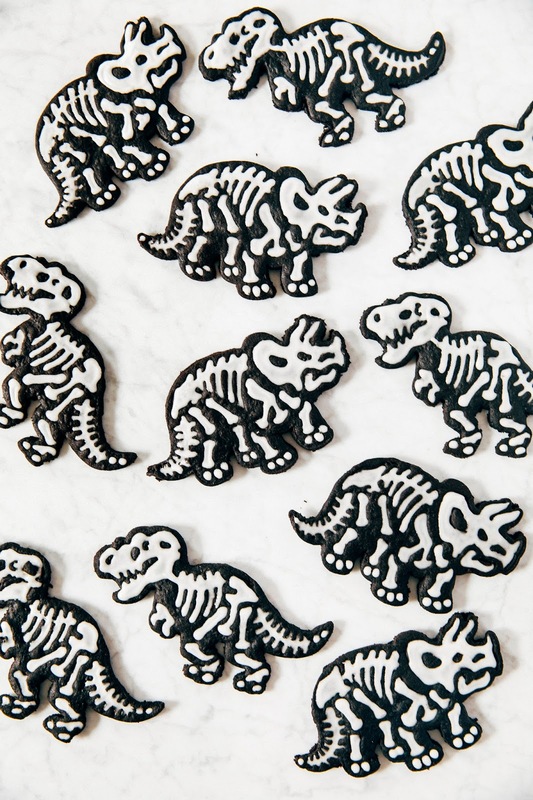 In fact, the closest I will ever came to archeology in my adult years are these dinosaur fossil cookies. 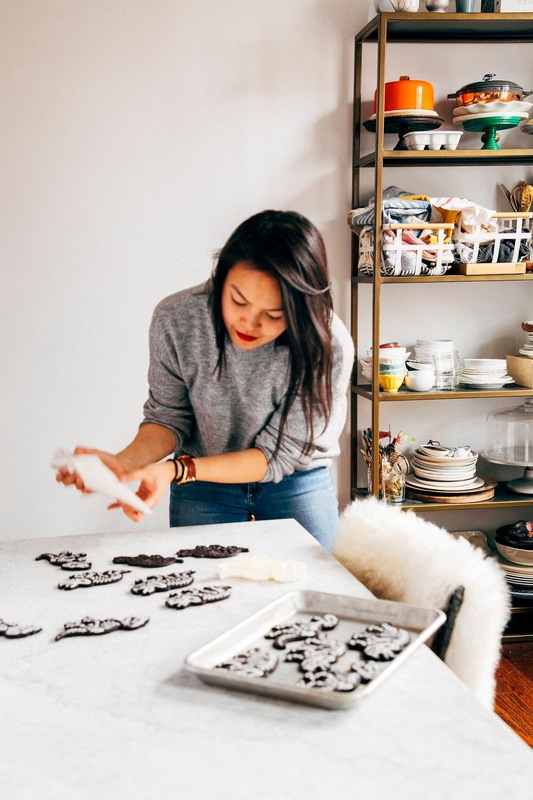 As for the cookies themselves, think of them as a cross between a salty Oreo and one of those royal icing cookies that have taken over Instagram. I'm embarrassed to tell you how long it took to ice each cookie (though those of you who follow me on Instagram Stories probably saw my low-level breakdown while doing so), but I'm even more embarrassed to say how quickly it took for the cookies get eaten. Enjoy! 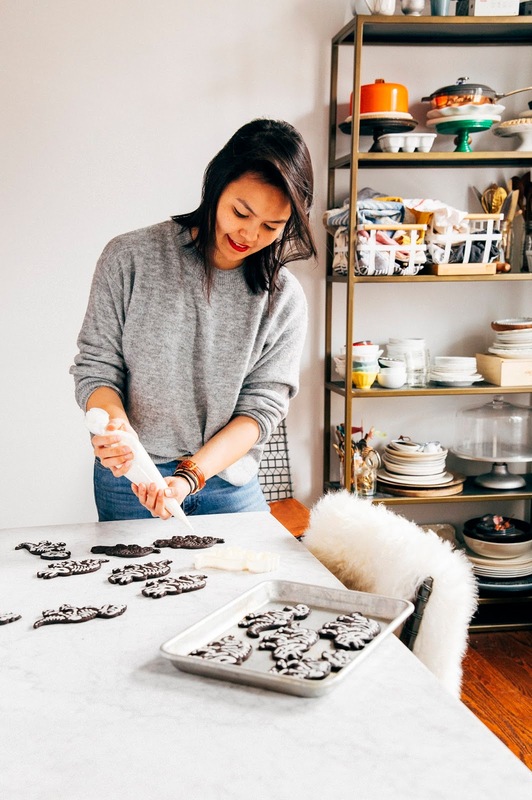 The cookie recipe is based on a Thomas Keller one for homemade Oreos ("TKOs"), as also seen this homemade Oreo recipe from 2013 and my friend Steph's Corgi Oreos. Because it's Thomas Keller and he's meticulous to a fault (he allegedly hired ballerinas to train staff on how to move around gracefully at The French Laundry and Per Se), the ingredient quantities are super weird and precise. Just go with it. It's worth it, I promise. Be sure to use Dutch-processed cocoa (as opposed to natural — I like Hershey's Special Dark Cocoa) so that the cookies turn out midnight black! 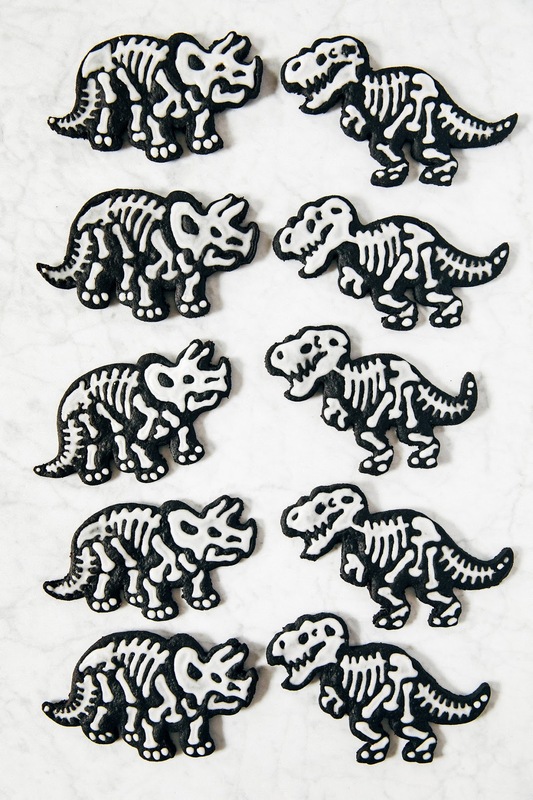 To stamp out the dinosaur shapes, I used these cookie cutters that also included stencils for the fossils/bones. I'm not artistic at all, and probably wouldn't have been able to come up with this bone design if it weren't for the stencils. When stamping out the cookies, it's a lot easier to ice if the cookies are thicker and have more prominent outlines for the bones. I'd aim for a cookie dough stamping surface that is about 1/4-inch thick. That being said, if you're confident in your icing skills and want cookies that taste more like Oreos, I'd aim for a cookie dough stamping surface that's slightly thinner at about 1/8-inch thick. Before burying the cookies in your archeological dig, just make sure that the icing on the cookies is 100% dry, otherwise you'll have soggy cookies and a sticky mess that won't be easily brushed away. 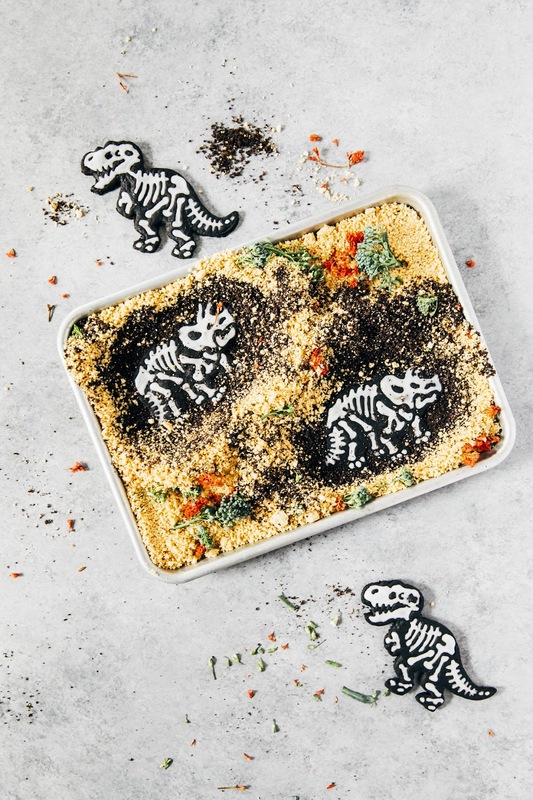 I ended up burying my dinosaur fossil cookies in super-processed Oreo and Golden Oreo crumbs, but really, you can use any sort of cookies you prefer. 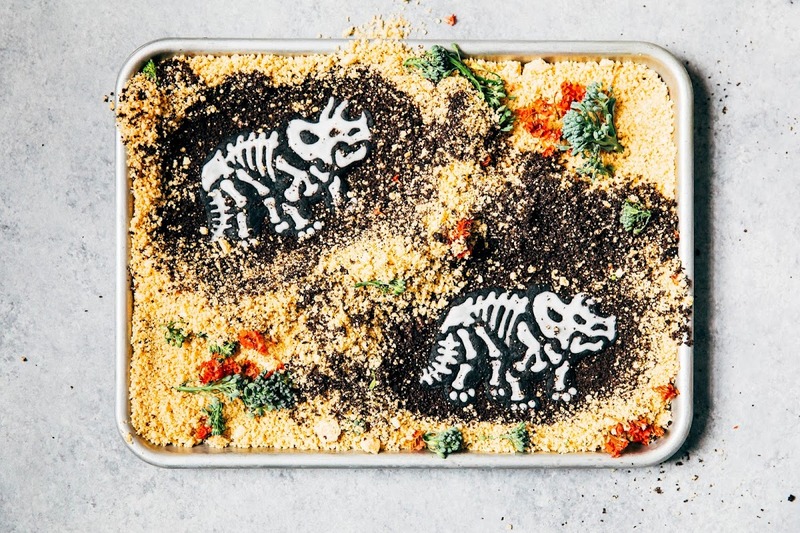 There are also many ways to decorate the top of the cake once the fossil cookies have been buried — you can use vegetables (I used broccolini), edible flowers, chocolate rocks, and more! If you're feeling particularly ambitious, you can even make marzipan succulents like my friend Molly on her cute lil' cake. 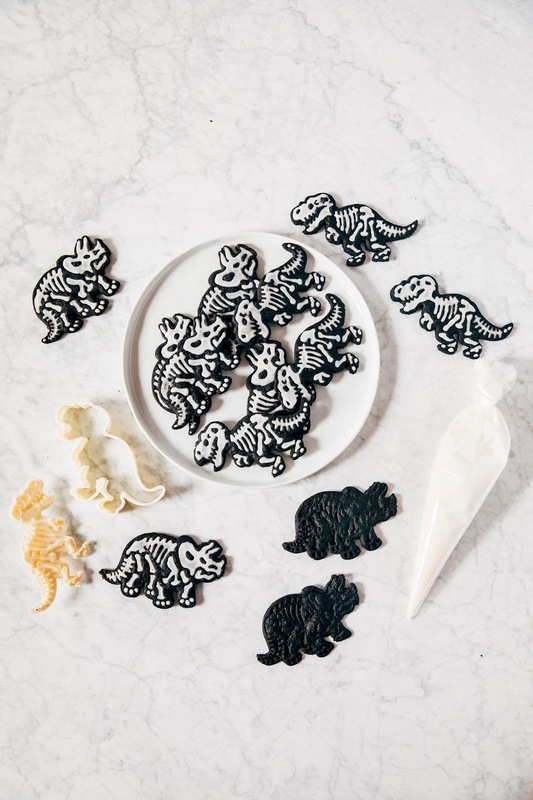 Use dinosaur cookie cutters to cut and stamp cookies from the rolled dough. If necessary, push the trimmings together and re-roll. Arrange the cookies on sheet pans lined with parchment paper, leaving about a 1/2-inch between them (they won't spread out too much when baking). Transfer the cut cookies to the refrigerator and let chill for an hour before baking. Bake in the preheated oven for around 20 minutes, or until the cookies are fragrant with small cracks on the surface. Because the dough is so dark, it might be kind of hard to tell – look for small cracks on the surface! 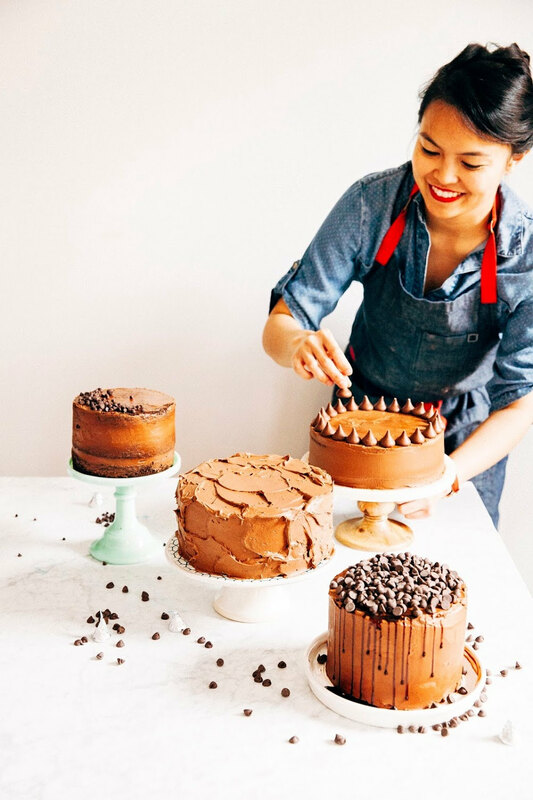 Set the pans on a wire rack and allow them to cool completely before icing. In a medium bowl, whisk together 2 cups confectioner's sugar, 1 large egg, and 1 teaspoon pure vanilla extract. Add 1 tablespoon of water one at a time, whisking until the desired consistency is reached. I like to make a batch of lining icing and flood icing, keeping the two in separate piping bags. For lining icing, which is thinner and good for outlining the bones, you want a soft peak to form when a spoon is lifted from the icing. For flood icing, which is looser and used to actually fill in the bones, add more water a little at a time until you reach a consistency similar to maple syrup. 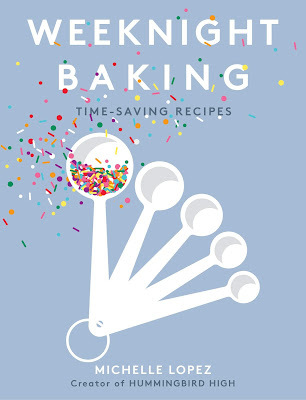 When a spoon is lifted from the bowl, the icing should ribbon down, disappearing in 6 to 8 seconds. When the icing on the cookies are completely dried, it's time to bury them in your archeological dig site! Use a food processor to process 1 package Oreos to a crumby, sandy texture. Transfer to another bowl and set aside. Use a food processor to process 1 package Golden Oreos to a crumby, sandy texture. Set aside. Take a few cookies and place them in a 9 x 13-inch sheet pan. Use a spoon to gradually cover the cookies with Oreo, using the back of the spoon to create an even layer. It's okay if you have a few bigger crumbs here and there — that adds to the fun and texture! Once you've completely covered the cookies with Oreo crumbs, carefully spoon the Golden Oreo crumbs over the dark chocolate ones, making sure not to disturb the dark chocolate layer too much. Use the back of the spoon to spread the Golden crumbs out into an even layer. Top with broccoli, herbs, edible flowers, chocolate rocks. Serve with a spoon and a pastry brush as "archeological tools". Pro-tip: you can spoon the crumbs into a bowl of milk, ice cream, or pudding to avoid waste. Enjoy!